This was a red velvet cake underneath the lavender fondant. I made brush embroidery flowers with royal icing and fondant ribbon roses on top. I had to put pearls on because they go with the roses. It has a really vintage feel to it. The client had it made for her VP; hopefully, it was shared at the office, but the intention was for the VP to take it home to enjoy it with her husband-to-be. This was secretly a black forest cake! 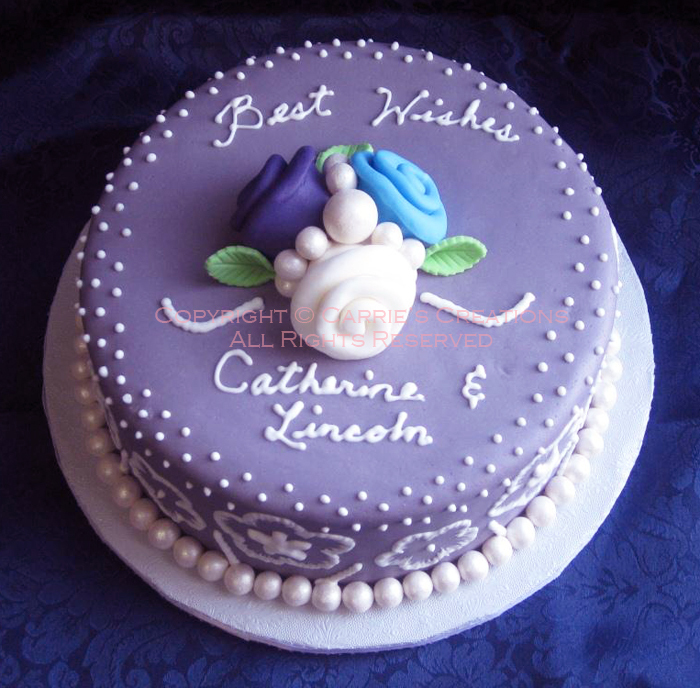 It was my first order for this type of cake... and I used real cherry brandy - kirsch. The cherries were marinated in the stuff and I even used the leftovers to douse the bottom cake layer... it smelled so boozy! Since the theme was tropical, colourful hibiscus fondant/gumpaste flowers trailed off the cake on top of whipped cream and tan coloured whipped cream were piped along the sides to resemble a straw grass skirt. 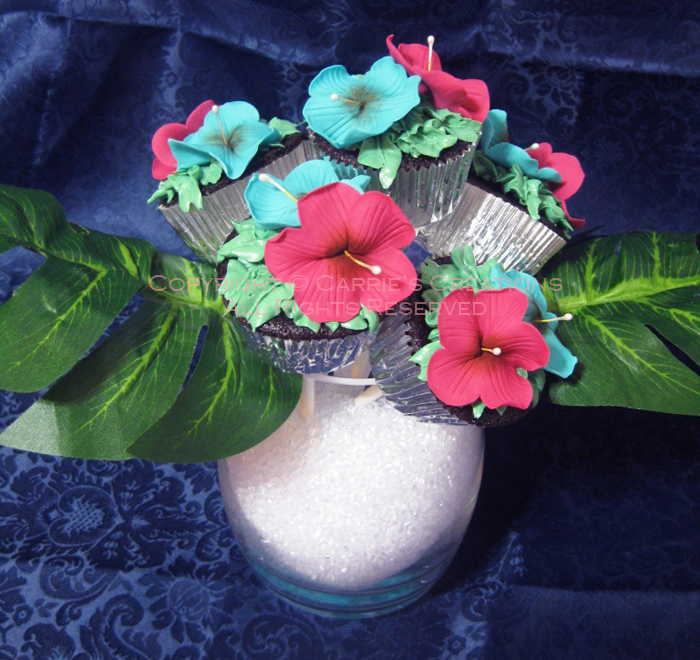 I also made a cupcake bouquet. Green vanilla buttercream-topped chocolate cake with teal and fuchsia hibiscus flowers. I dipped one end of a lollipop stick into melted chocolate before inserting it into the cupcake. It worked out great... but I don't think it survived in the vase during transport :(... I'm guessing because there wasn't much stability for the sticks not to move around (the white stuff was vase filler) even though I put a blob of fondant into the vase before filling it. This chocolate cake was simply adorned with fondant/gumpaste blossoms with sugar pearl centres, buttercream ruffles, and a fondant top. 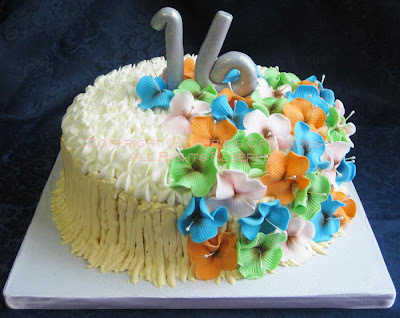 It was filled with vanilla Swiss meringue buttercream. The cake was paired up with mini cupcake favours (chocolate with pink vanilla Swiss meringue buttercream and red velvet with yellow cream cheese icing). I had to figure out how the guests would take them home. Initially, I wanted to use a cupcake wrapper and a handle, but I thought it would be too flimsy. So, I happened upon espresso cups at the dollar store, which were the perfect size (no handles needed!). 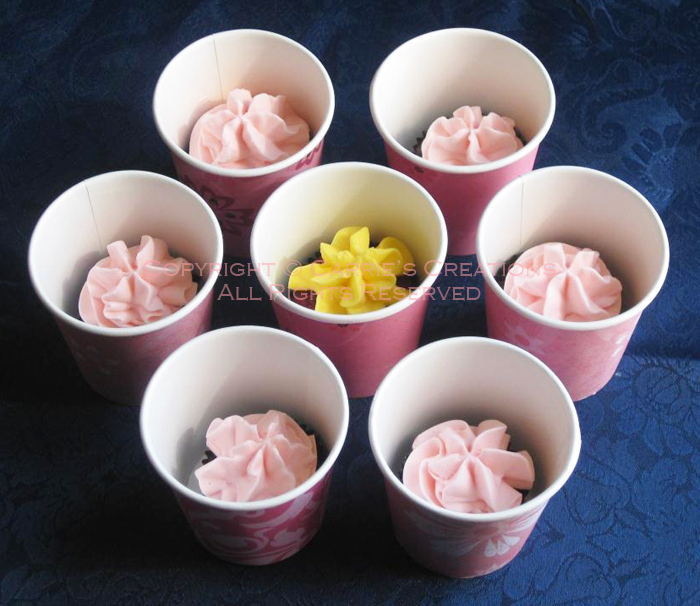 I wrapped the cups in pink scrapbook paper. I wanted to put the cups into individual plastic packaging, but my cookie bags didn't have a flat bottom, so the cup refused to stay upright. I just put the cups into a 12"x12" box, as is. I'm sure most people would consume these bites before arriving home, anyway. 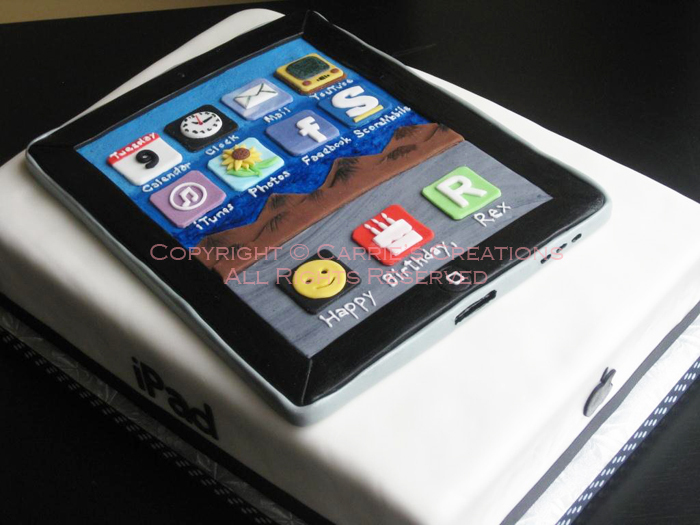 My most favourite cake this month... this iPad cake (chocolate cake with vanilla Swiss meringue buttercream) was so fun to make! The toughest things to do were the letters, but I think my X-acto knife cuts were decent. I wish I had an iPad myself for a model, but I only had online images to work with. I heard the the cake was well-received, which made my efforts even more worthwhile. Everything was decorated with fondant/gumpaste, with royal icing text, and the cake was covered in fondant. I had it all figured out... I had booked time off work specifically for a grooms cake that was placed months ago. 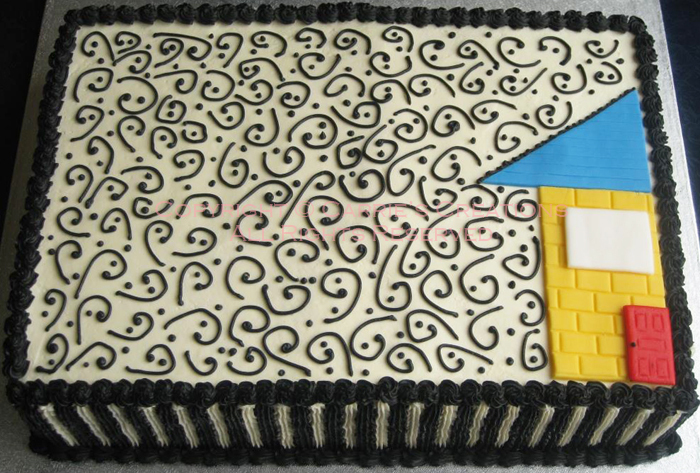 And then I get a request for a donation of a slab cake for Yellow Brick House's fundraising gala, which was due a few days before the grooms cake. So, I was able to start working on the gala cake (vanilla cake with vanilla Swiss meringue buttercream) and complete it a day ahead of schedule. 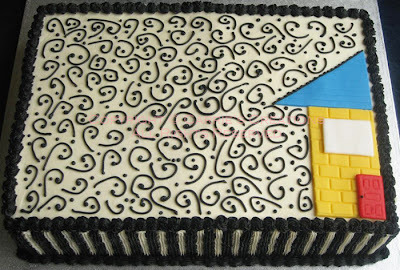 The theme was black and white, but I decided to add a yellow house to represent the organization. Then... my youngest had a fever on April 26th, which got worse as the day progressed. By evening, his fever was so high he had a fibrile seizure. My husband called 911 and the ambulance arrived quickly. We were at the hospital for 2.5 hours, but he didn't have a second seizure (which could've happened at any point after the first). On April 27th, I started to get chills and achiness and a fever. My first thought was, "Holy crap, how am I going to finish the grooms cake due in two days?!" I had to rest a lot, because my body refused to co-operate. 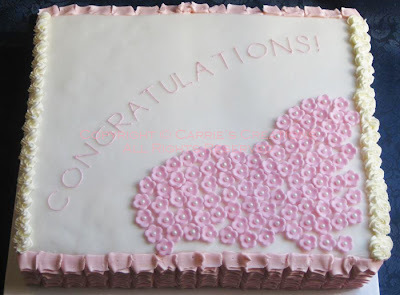 Luckily, after taking naps here and there, I was able to complete the cake at 4:30am on the wedding day. I made a few finishing touches after a 3-hour sleep, and was completely done by 10 am. Baking the day before the deadline is something I don't normally do, but I knew that it wouldn't take as much time as the decorating, so it wasn't as high a priority. 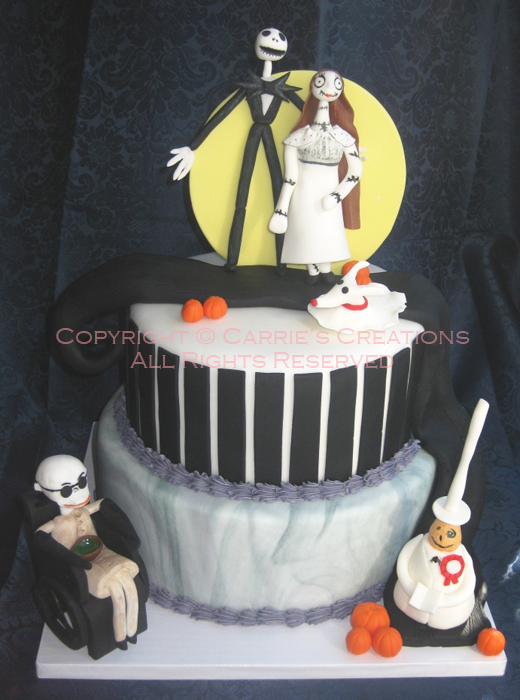 The theme for this red velvet cake is "The Nightmare Before Christmas" because that is one of the groom's favourite movies. The characters took the longest time to make, and they are made of fondant/gumpaste and lots of floral wire. Sally and the Mayor are in white, because this was for a wedding after all. Jack was tricky to assemble because of his thin limbs. Easiest to make was Zero the dog. 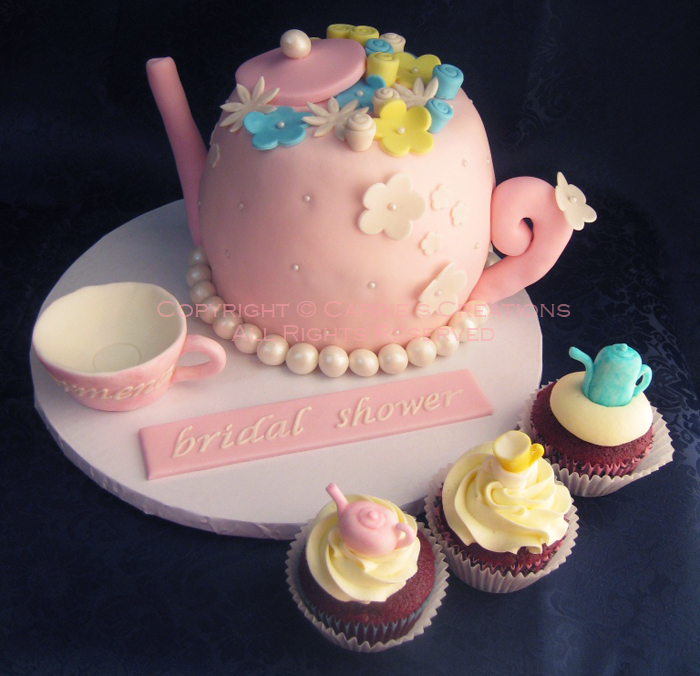 Finally, my last item for the day: a tea party themed bridal shower. 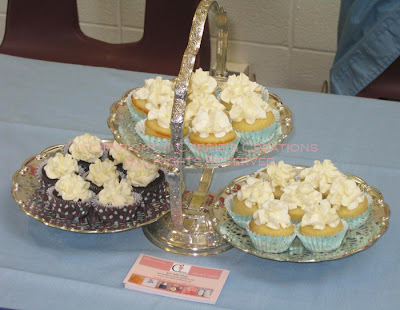 The teapot cake was strawberry with vanilla Swiss meringue buttercream and the cupcakes were red velvet, half topped with a blob of cream cheese and the other half piped with the meringue buttercream. Since the details were not finalized until last Friday, I only had all of Saturday and half of Sunday to work on it... not enough time to have detailed work done, unfortunately (see the flowers). I had trouble with the cup, but it looked passable. 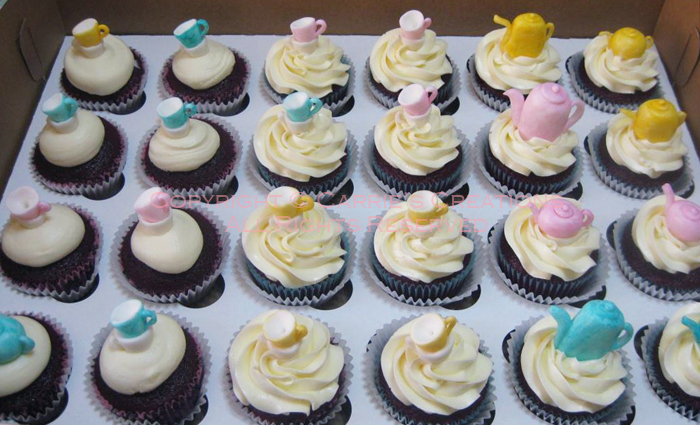 Other problem areas: the spout and handle - they didn't want to stay on. I just hoped they didn't fall off during the shower. I do love the little cupcake fondant/gumpaste toppers, though. 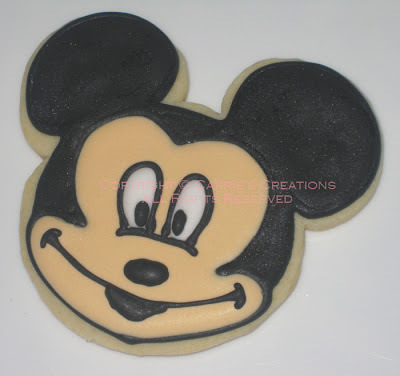 They were easy to make once I got the hang of it and they were painted with gel colours mixed with clear vanilla.